The mission of Meze Headphones is the “pursuit for pure expression through design.” Industrial designer Antonio Meze is from Romania and wants to make a set of headphones that’s not just an electronic gadget, but your favorite accessory. His latest creation is the stylish Meze 11 Deco earphones. These new earphones are available in three different sizes of soft silicone ear-tips. To stay protected, they come in an EVA case. The earbuds fit snug in your ears and quickly block out annoying background noise that would be disruptive to your listening pleasure. The bass is driving and you receive a clear sound with no distortion. The Meze 11 Deco earbuds are compatible with the following products – iPhone, Android, iPod, MP3, MP4, CD, DVD, MD, and PSP. The beech wood and machined aluminum enclosure is elegantly handcrafted and produces a crisp yet warm and natural sound. The speaker driver is 8mm (Neodymium) and delivers a crystal clear sound that is ideal for a wide variety of music styles. The Meze 11 Deco also features an integrated microphone plus tangle-free cords to prevent that frustrating tangle of wires on cheaper models. 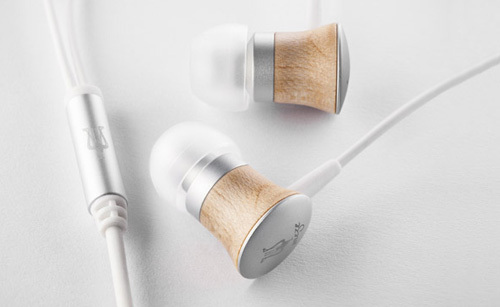 The retail price is $79 for these luxury earbuds and a great value for the quality and look that you get. Start styling! Meze strives for a product brand that fits in the high-end headphones category. With superb sound quality and a stylish design, the new Meze 11 Deco earbuds are a must for those who desire only the best in music listening and enjoy a luxury living lifestyle. For those who desire only the best in music listening, please contact The Life of Luxury and we can help you purchase the Meze 11 Deco earbuds or other luxury audio products.